As someone who tends to have a lot of irrational fears, books like Afraid of All the Things by Scarlet Hiltibidal are a God-send. Lately, I’ve been learning about how the Gospel impacts every part of my life. My mothering, my marriage, my physical health, and my emotions..including the things I fear. Scarlet reminds me a lot of myself, especially when she shares stories of how fearful she’s been since childhood. Many of her fears like having her appendix burst are so me. I think there are some people who fear is a natural struggle for! I loved reading Scarlet’s experience of holding her fears up to the Gospel, as she says. Reading her words helped me realize that Jesus came to rescue me and give me abundant life in EVERY area. The book is divided into 3 sections. One about not letting your fears define you, another about not letting fear defeat you, and the last puts fear in perspective by reminding us that fear isn’t forever. This is a great, Gospel-centered book that I’d recommend to anyone. The points the author makes are rooted in Scripture and she speaks from experience. I really enjoyed this book. I laughed at parts and loved how entertaining the author’s style of writing is. I’m excited to pass this on to a friend who needs this message! 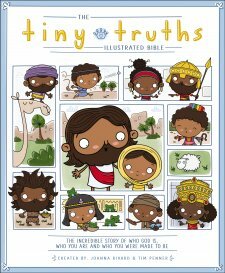 The Tiny Truths Bible by Joanna Rivard and Tim Penner is an adorable resource for any parent who wants to start Bible time with their littles. First of all, the illustrations are the cutest! I personally appreciated the fact that the characters are darker skinned. Not only does this open kids minds up to diversity, it also entertains the idea of something other than a totally white Jesus. It’s unique and I haven’t seen any kids Bibles like that! I think this Bible displays the Gospel in a way that little people can easily understand. My favorite passage is found at the end of this Bible. It says, “God wants to fix the broken things in the world, and we get to help. Jesus shows us how. We need to..
Love everyone the way God loves us. This Bible goes through stories in both the Old and New Testament. Your child will learn about the disciples, Noah, Joseph and more. All in all, this is a great resource. My boys are having so much fun with this Bible! Happy (late!) New Year, lovelies! 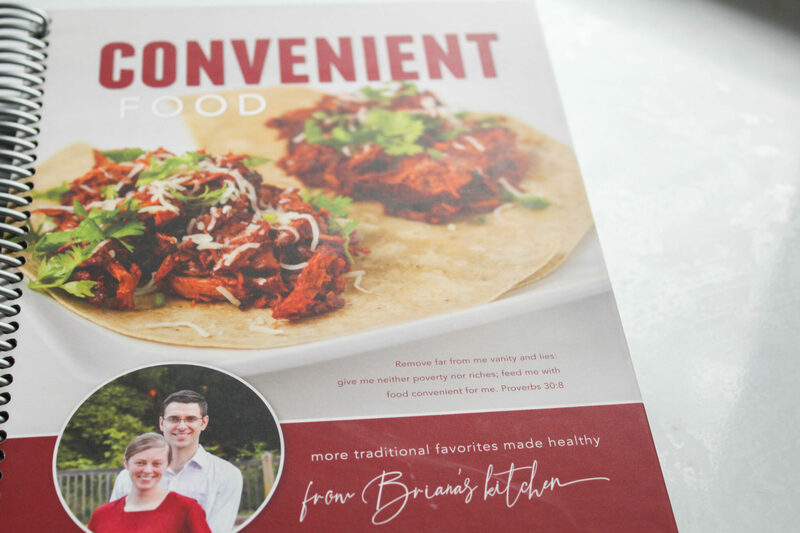 Briana Thomas Burkholder has come out with an amazing new cookbook called Convenient Food that totally fits my need for all things family-friendly and simple. 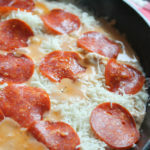 Briana creates THM-friendly recipes that have always gone over well with my family. I’m a huge fan of her latest cookbook because it’s realistic. Not every meal is totally heavy, there’s a great balance of lighter meals! The meals are also pretty simple. Things that the average cook could make and things that are extremely similar to what you’d find in your favorite not-so-healthy cookbook. This cookbook contains recipes for breakfast, main dishes, side dishes, salads, shakes and drinks, ice cream, desserts, snacks, and more! 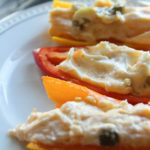 Here are just a few of the recipes I’ve tried and loved. Briana has been so generous and is letting me give one of YOU a copy of her latest cookbook! You can enter below. Good luck! Can’t wait to get your hands on it? You can purchase Convenient Food on her website. Click here! *I received this book from the publisher in exchange for my honest opinion. All opinions are my own. 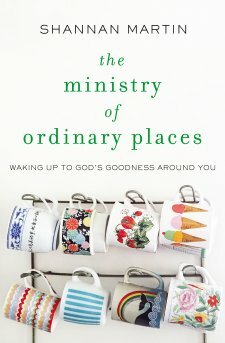 In “The Ministry of Ordinary Places” Shannan Martin shares her experiences when she decided to open her eyes to the mission field around her. She takes the verse “Love your neighbor..” very literally. This book reads like a memoir, there are a lot of personal stories and very little practical tips for application. I loved reading how the author loved those around her. She’s creative, resourceful and totally daring. She doesn’t discriminate in the least and I was inspired by how she opened up her heart and home! I enjoyed her writing style and found that it worked perfectly for the memoir feel she was going for. The author knows how to draw you in with the way she portrays the characters in her life. This book will inspire you to stop looking for the next amazing mission and to start embracing the one God has given you. This is a timely message that we could all use in a world that struggles to love anyone different. Ever since I was a little girl, I’ve always appreciated a good journal. There’s something therapeutic about having a safe space to write your thoughts. Many people love to do something artistic like hand-letter or color in their journals, but I’m not naturally good at those things, so I stick to writing. Or I did until I found the Ellie Claire Art Journals. 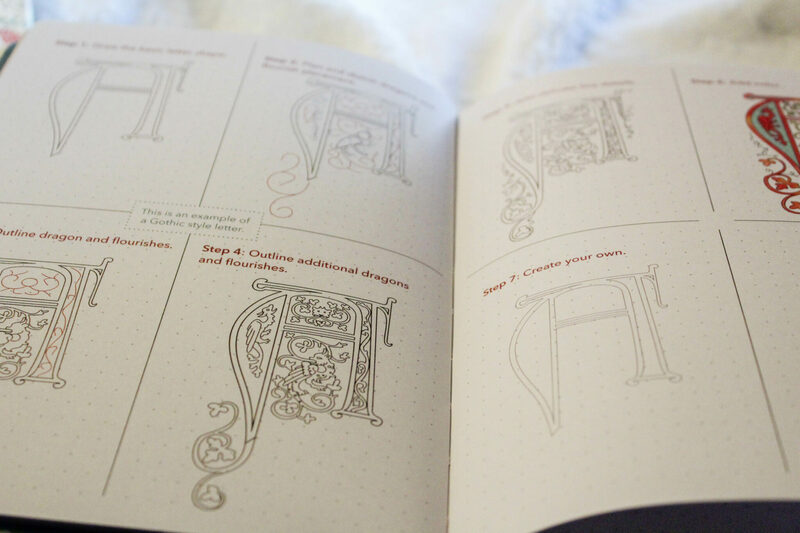 The Faith and Lettering Journal is my personal favorite of the bunch. Its pink cover with gold accents fits my girly style perfectly! 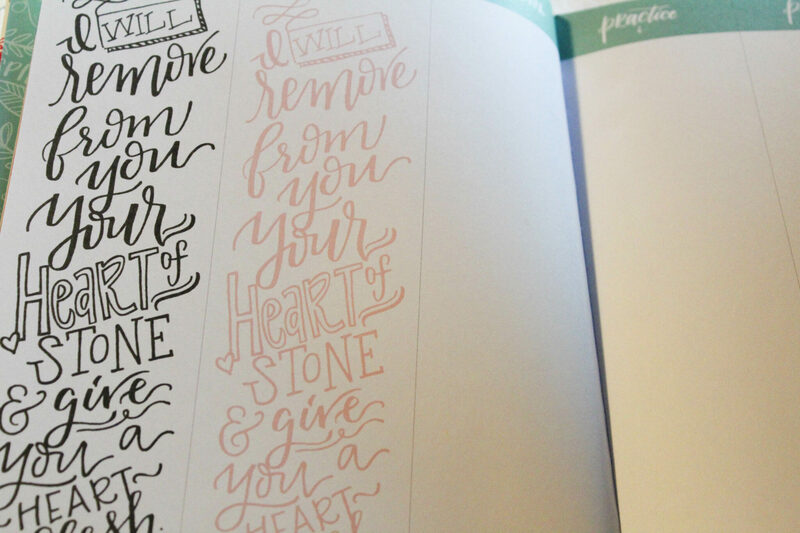 This journal is by Krystal Whitten, a graphic designer known for her influence on Instagram. 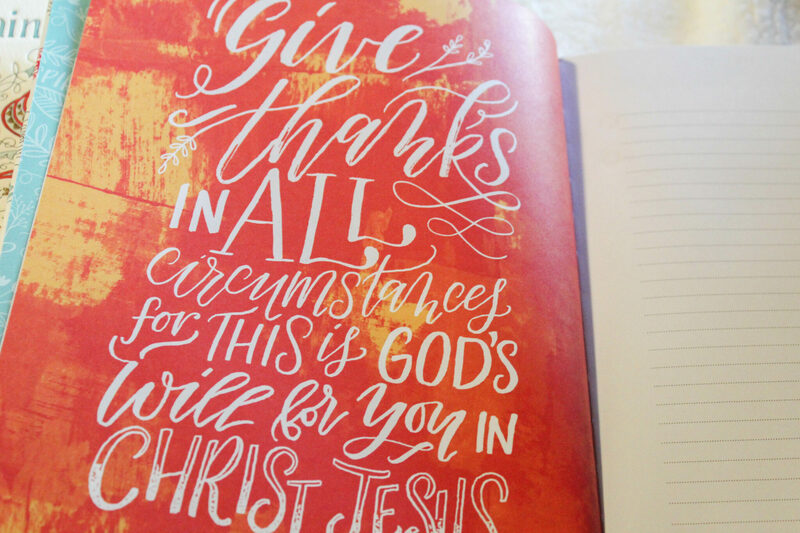 This journal takes you through the basics of Bible journaling, sermon sketch note-taking by giving you plenty of space to work with. There are examples of hand lettering along with space to trace and practice. There are square spaced sketch sheets to help you perfect any designs. Along with wonderful hand lettering instruction, there are also gorgeous watercolor prints scattered throughout the journal, which I felt gave a lot of bursts of inspiration. Small details like a pen loop on the spine and gorgeous foil accents set this journal apart from the rest. 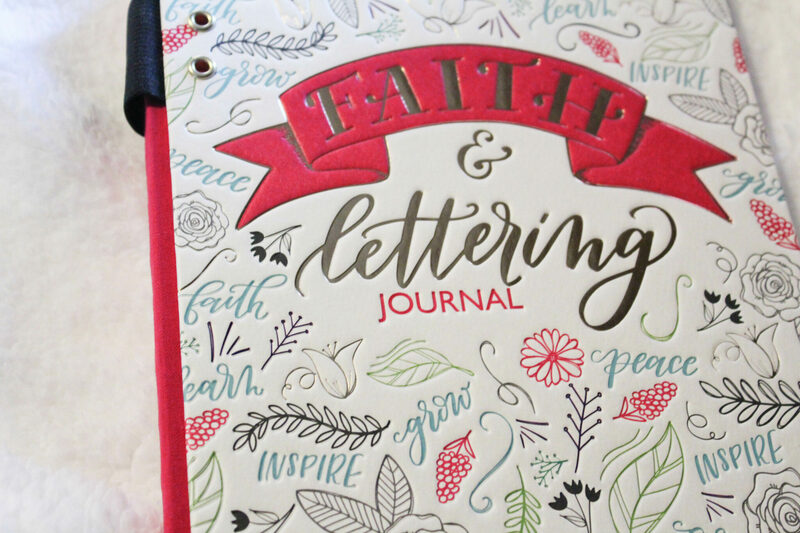 All in all, this journal is a great present for someone who wants to learn hand lettering/Bible journaling basics! I was able to learn so many new techniques! 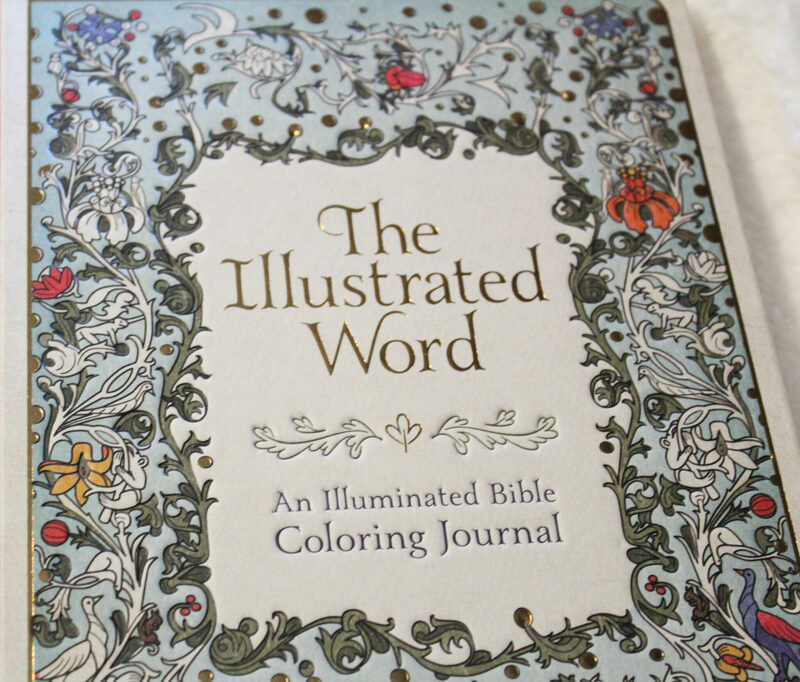 The Illustrated Word Bible Coloring Journal is my second favorite of the bunch. 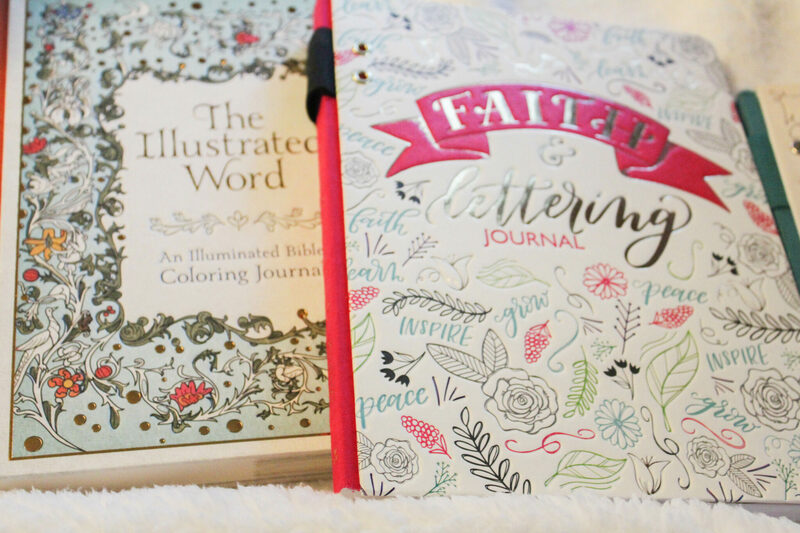 This is a fun journal because it focuses on one of my favorite things..coloring! This journal is so cool because it exposes you to art you might not have seen before and it gives you a chance to color some of the same elements! 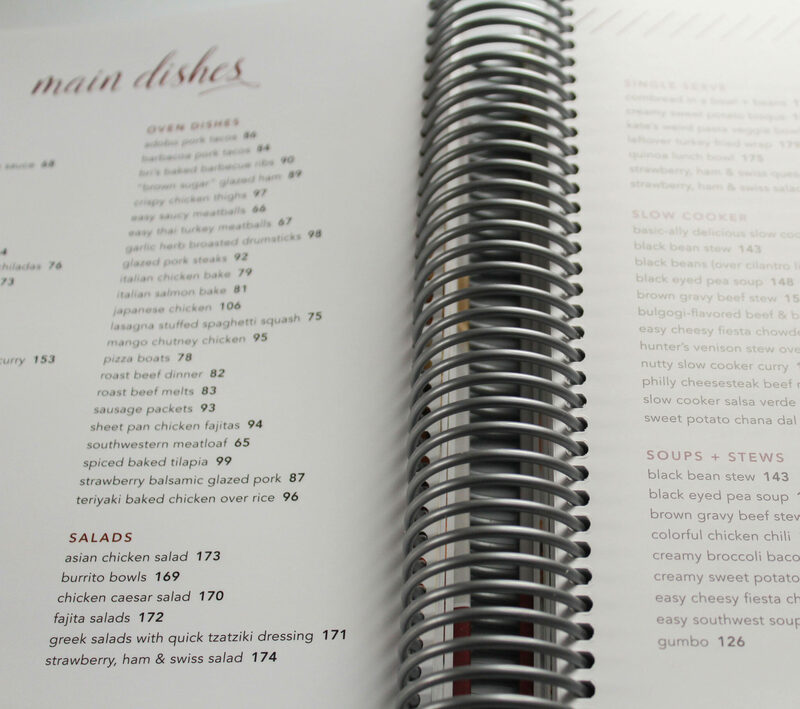 The pages are thick enough that you can use any type of pen for your journaling. I tried it with gel pens and even a fine-point Sharpie didn’t have any problems with ink bleeding through. The coloring pages themselves are gorgeous and sophisticated, yet not so sophisticated that you couldn’t gift this to an upper elementary schooler. 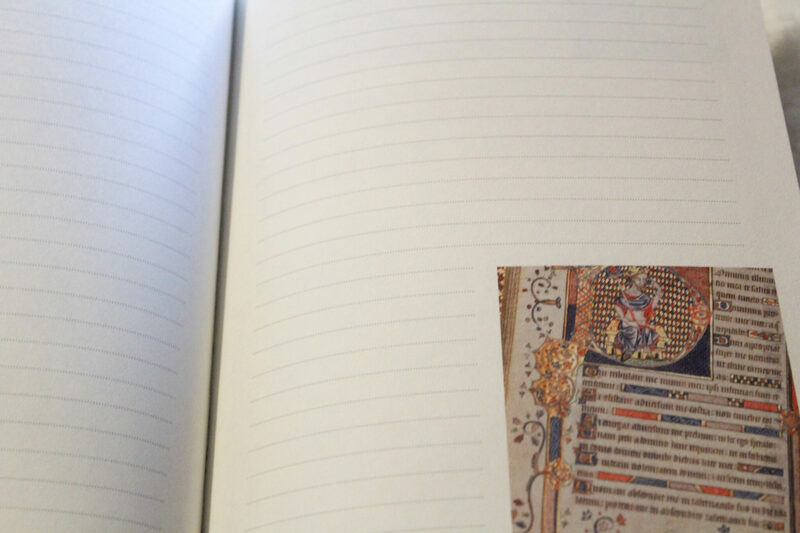 I would recommend using colored pencils to color this journal. 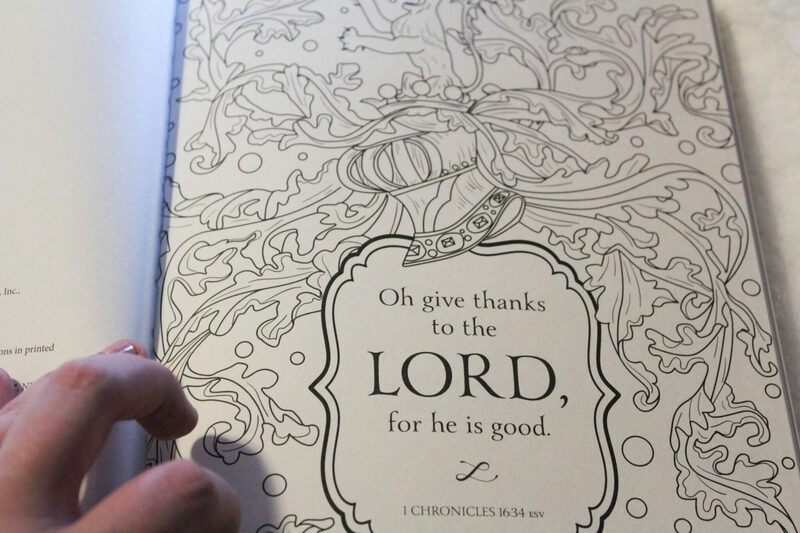 When I spend time coloring, especially a Scripture, I’ll have thoughts come to mind that I want to record. I was happy to see this journal gave me lined space to do so! 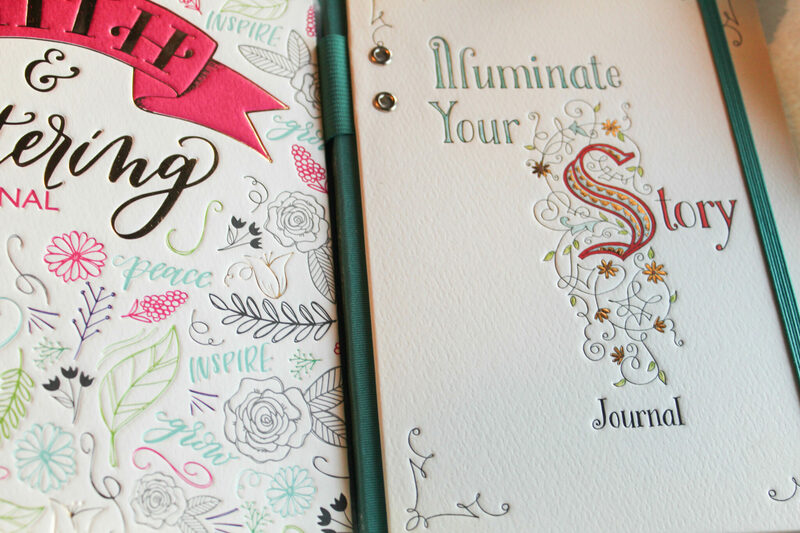 The Illuminate Your Story Journal focuses on the art of illuminating letters. Illuminated text is silver or gold letters that when the light hits, appear illuminated. This is an ancient art that I had never heard of! This journal gives step by step instructions in this art. I am not naturally artistic, so my letters didn’t look even close to the artists! The instructions given were clear though and I’m sure that someone who has a natural knack for intricate design could figure it out. I really loved how the artist broke each step down so clearly! This journal is full of great quotes, including this one from Tolstoy that was one of my favorites! 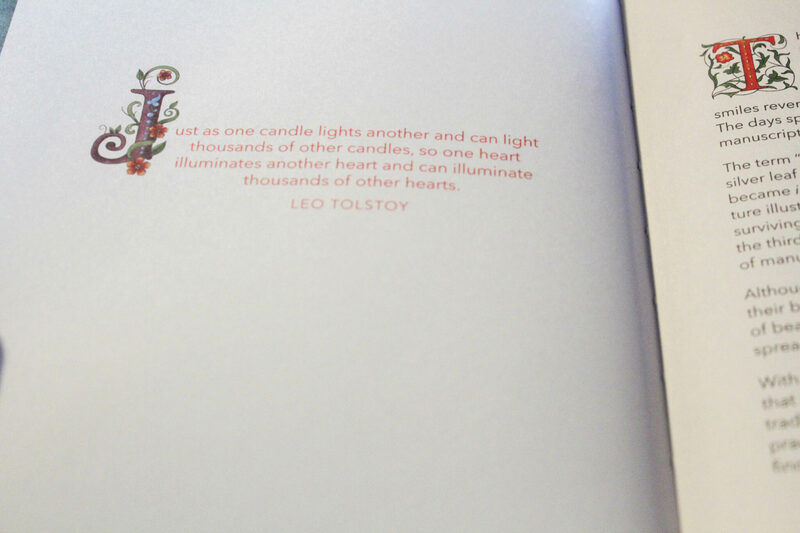 I loved how the artwork with the quotes ties into the illuminating letter theme. These journals are reasonably priced and they really serve a great purpose. I love giving gifts that help enhance my friends and family’s spiritual lives and this definitely falls under that category! Journaling is a great way to add something new to your quiet time routine and there’s something in these journals for everyone. *This post was sponsored by Ellie Claire. All opinions are my own. I’ve been a huge fan of Hayley Morgan after reading the book she wrote with Jess Connolly, “Wild and Free”. 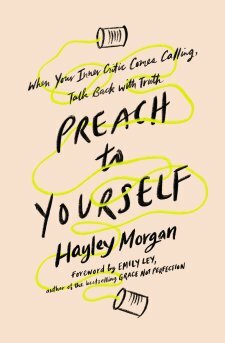 Hayley has a no-nonsense writing style that is packed full of the Gospel and this book is no different. Preach to Yourself was written for those of us who KNOW what Jesus says about us, but are struggling to hear His words over our own inner dialogue. This book goes through the various reasons we struggle in our faith, like complacency, busyness and more. This book will literally help you change the way you think. Our thoughts determine so much of our lives, so this is a skill that any woman can use! My favorite part of the book was probably the resource section in the back that gives you an actual rebuttal for each self-deprecating thought. I’m so excited to pass this book along to the ladies in my life! It’s such a helpful tool for living a victorious life. I highly recommend it to any woman wanting a kick in the seat towards a life saturated with Truth. I received this book from the publisher. All opinions are mine. Creating a weekly plan has helped me to create a more intentional home. It gives me a visual way to make sure that what needs to get done is getting done! It gives each day a purpose and it makes me feel like I’m really able to stay on top of things. My current situation looks like this: I’m a work at home Mama of two little ones. I’m also expecting again in March. I homeschool my sons (Preschool and Pre-K) so they are in my care all the time. I plan my week using a regular paper planner. I’ve tried to go digital in the past, but that’s not happening! 🙂 I also use Lara Casey’s Powersheets to help narrow down my goals. 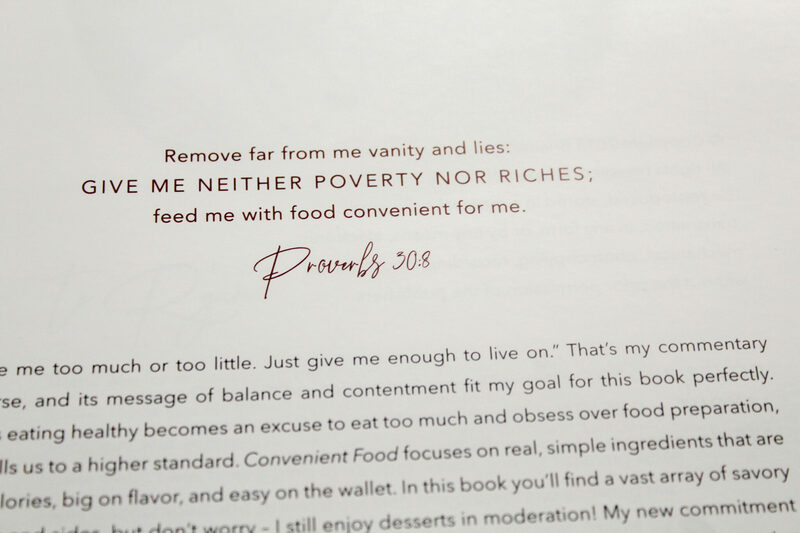 I totally recommend Powersheets to anyone who wants to live a more intentional life! They’re so fun to use and they’ve really helped me make progress in certain areas and determine what’s truly important. This really doesn’t take me very long (1/2 hour to 45 mins) because I’ve really been focusing on “Mama Minimalism”. More on that later, but it’s a game-changer! I struggle with anxiety and am an “Outer order, inner chaos” type of gal, so keeping on top of housework is a must for me. As I said, I use a paper planner. My favorite ones are from Anchored Press and Happy Planner. I like cute planners with lots of stickers, what can I say! Unless it’s an appointment, I don’t schedule a specific time for anything. I don’t go by a strict time schedule, but by a simple routine. Things happen at around the same time each day, but it’s never set in stone. I’ve learned to be more flexible. I also don’t schedule too many things in one day. My main “must-dos” are quiet time/devotions, homeschool, and house cleaning. If those three things are taken care of and the people are fed, it’s been a good day! I’ve found that adding too many things to my to-do list means that half of those things will go undone. It’s better to do a few things well than to do all the things halfway or not at all. If you’ve never tried planning out your week, I’d encourage you to give it a go! It’s helped me find a lot of purpose and joy in motherhood. Use a planner or digital system that works for you. A lot of Mamas enjoy Trello, some Moms just use a piece of paper and a pen. Don’t add too much to each day and make sure that the size of your list matches your current season of life. If you try this, I’d love to hear how your week went! 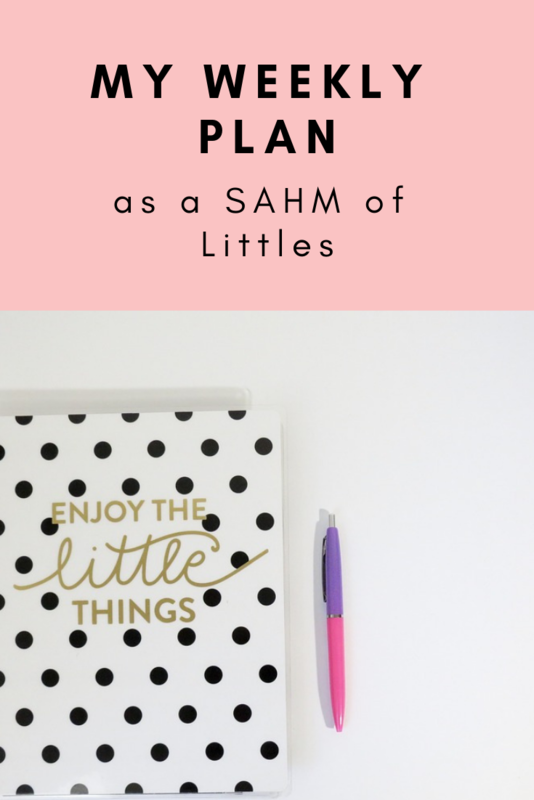 Pin My Weekly Plan for Later Here! * I received this book in exchange for my honest review. All opinions are my own. 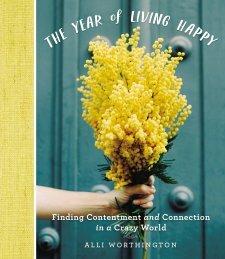 The Year of Living Happy by Alli Worthington is a wonderful devotional/gift book that will inspire any reader to discover what true happiness is. This book is simply beautiful. The cover art is lovely, the accent ribbon fits perfectly and the layout of each page is attractive. Each devotional entry tackles an aspect of happiness; How we are created to be happy, Holiness is equal to happiness, How to be Happy in a Hectic World, Building a Happy Life and more. I recently listened to a podcast where Alli Worthington explained the thought process behind this book. This book was born out of a word that God gave her- a single word! She decided to go on a year-long journey to study happiness and write about it. She discovered that the Hebrew word for happiness and joy are actually the same, which led her to rethink the Biblical concept of joy. Many Christians shun the concept of happiness in exchange for joy, when actually they are the same thing! I never knew this, so it was refreshing to me as well! I really loved how each devotional entry was so different. The book truly goes over each part of happiness, from spiritual concepts to practical applications. Every devotional is short, so it’s perfect for busy people! You’ll find a reflection question at the end of each entry and chapter for further application. 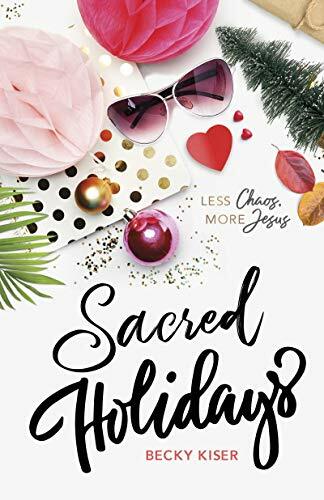 This book would make a wonderful gift for yourself or a loved one!